We made 5 books in class so far this semester, learning basic skills as we made each one of them. Tomorrow our mid-semester project is due and for this we needed to make a book, using any of our techniques, with added autobiographical content. The first 3 books were previously posted. 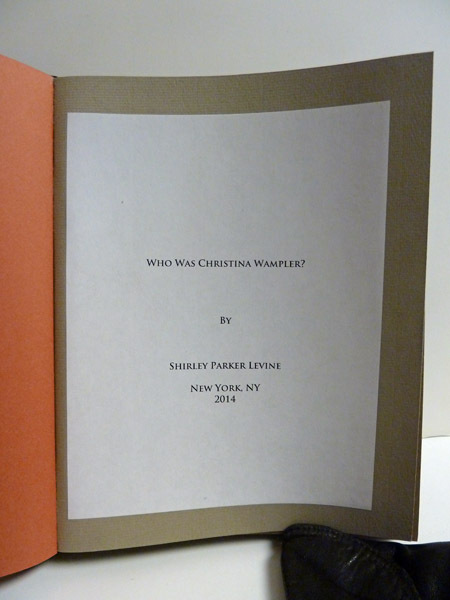 This is Book 4: A Pamphlet Book in Boards. 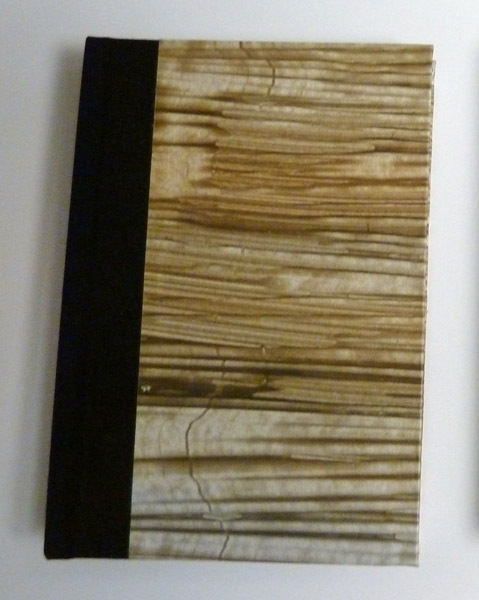 I used plain black book cloth for the cover and my wild, previously created, paste paper for the end papers. Book 5: A Quarter Round Hard Back Book With 10 Signatures. 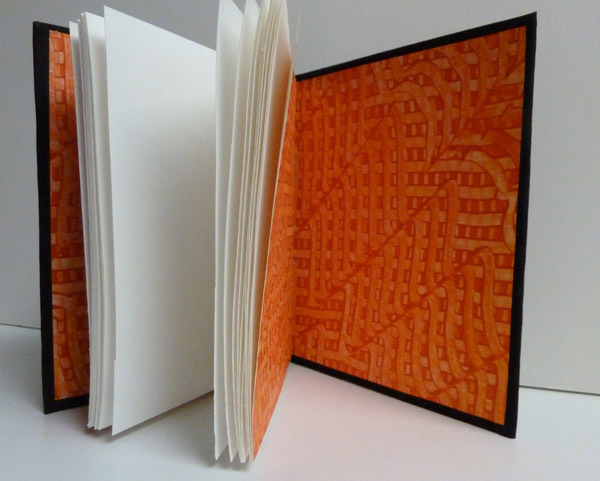 This was a completely new binding for me and I always wondered how it was done. The cover is made of black book cloth and my paste paper. 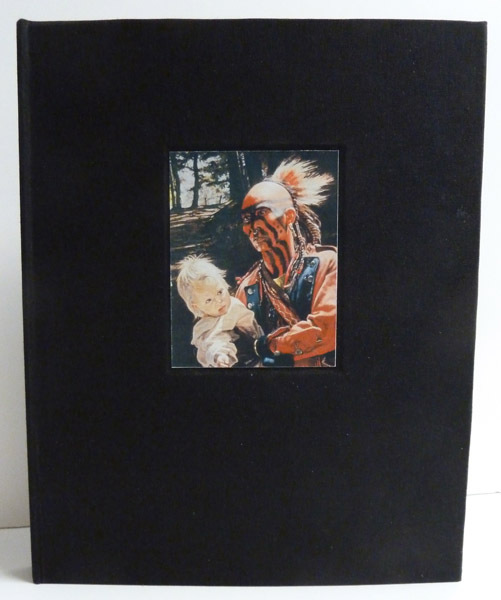 Mid-Semester Project: My Great Great Great Great Grandmother was kidnaped by the Delaware Indians in 1757 in Lancaster Pennsylvania during the French Indian War and then returned to her family in 1764 as part of the peace treaty and return of the captives negotiated by Lt.-Colonel Henry Bouquet. There is good documentation of the kidnapping from Ben Franklin's newspaper, the Pennsylvania Gazette. I saw and touched the newspaper in the the Rare Book Room of the New York Public Library. And there is a handwritten list of captives who were returned to Fort Pitt and her full name appears on it. The list is maintained at the William L. Clements Rare Book Library at the University of Michigan. I always wanted to write the story for my grandchildren and used this assignment to do that. 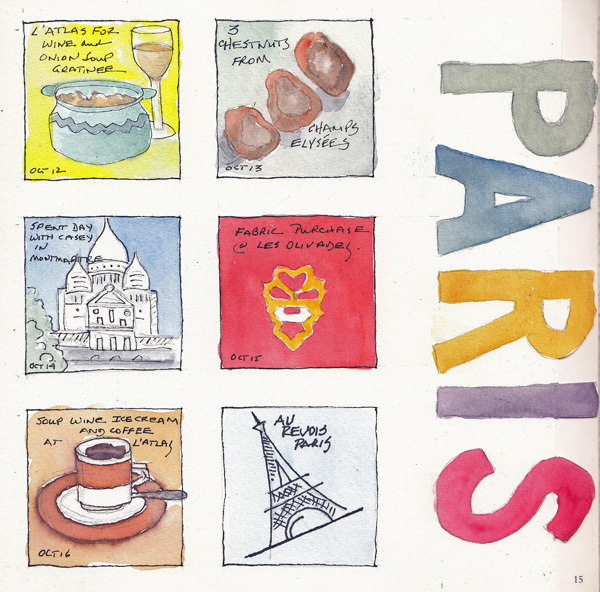 My hardback book is 40 pages of text with 11 illustrations which are copies of paintings, maps, and lists. The Cover: With a copy of a painting called the Prize, by John Buxton. I had a lovely email exchange with the artist and I'm thrilled that I could put his painting on the cover. 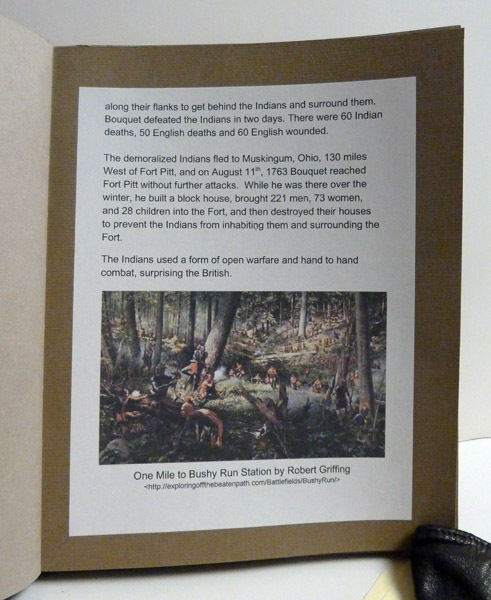 One of the pages - with text and an embedded copy of another painting - One Mile to Bushy Run Station by Robert Griffing. This book was finished just in time for my oldest grandson, Henry, to read it as his 6th grade class reaches the French-Indian War in American History. It isn't perfect, but it was a labor of love! 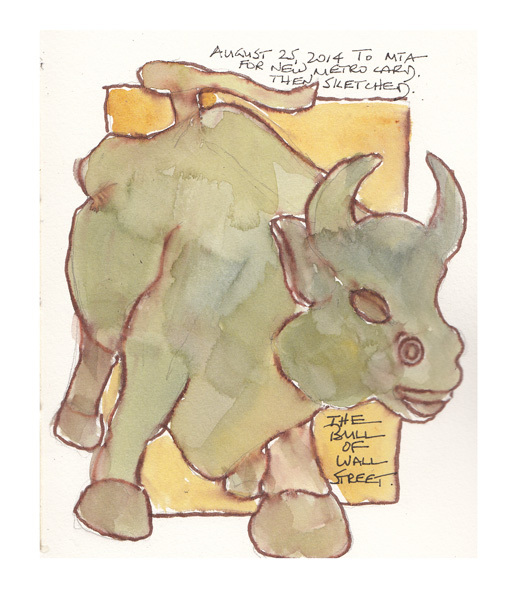 I am enrolled in Sketchbook Skool Semester 3 - Storytelling, and just have to fit it in to an overfilled schedule at the moment. 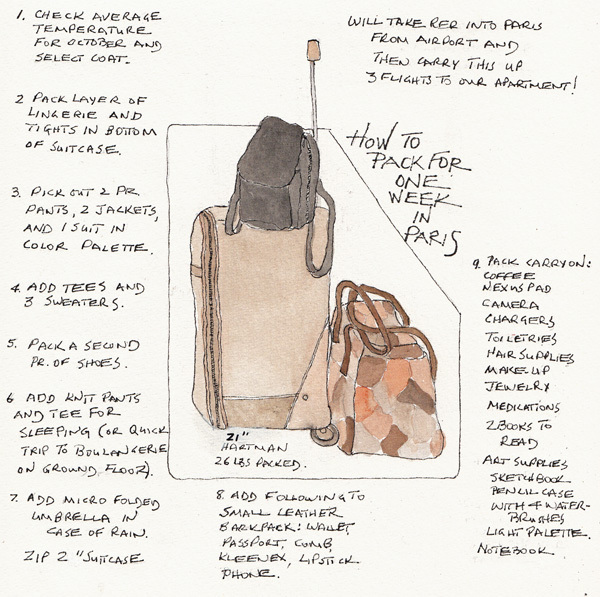 I watched Koosje's videos during Week 1, but couldn't even think about the fun assignments until we arrived in Paris. Instead of illustrating a recipe, I outlined the steps for packing for our trip, and painted my suitcase, carryon, and mini-backpack. We rented an apartment that was up 3 flights, so we packed very lightly. The apartment had a modern microwave and I just wanted to use it to boil water for my filtered coffee. But first I had to read a manual in 3 languages, searching for the simple method of just setting a time and pushing a start button. 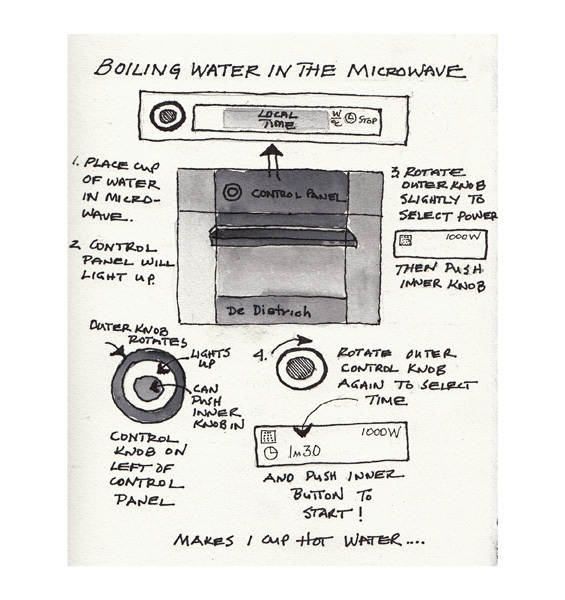 So this is my manual: How to Boil Water for Coffee in a De Dietrich Microwave. Melanie Reim was the Week 2 instructor and I was thrilled to have her class videos to watch on the day we arrived, so I could try to stay awake. 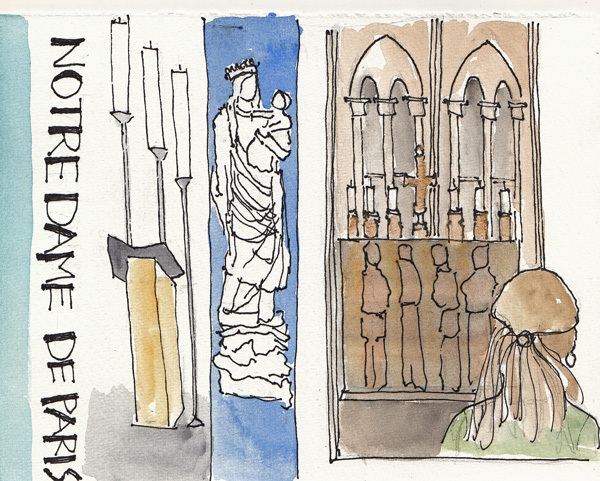 For my home work I recorded what I was seeing in front of me In Notre Dame as we waited for the organ concert to begin. But alas - no concert and no announcement. 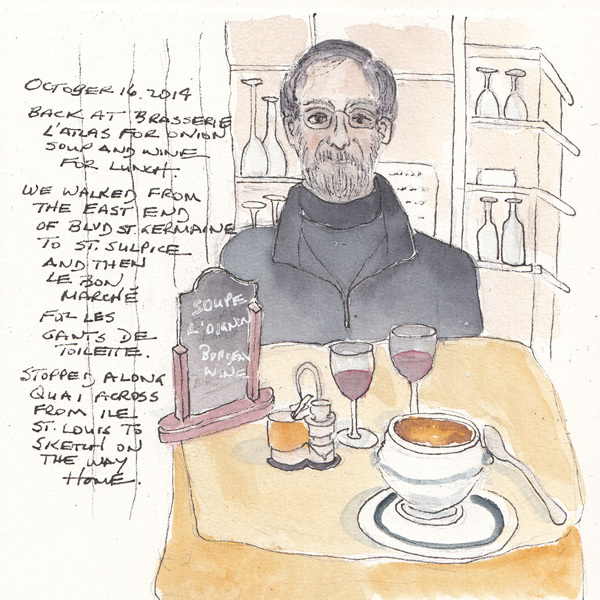 My other "in the moment drawings" were of my husband - on the Metro, in a café, and then over onion soup for lunch. Of course he doesn't think they look like him, but I think I'm getting closer. 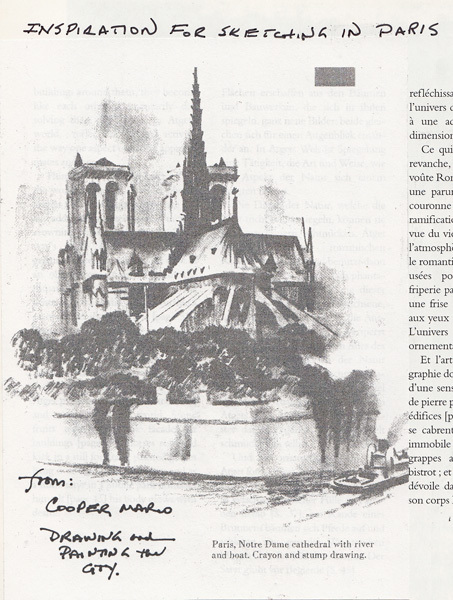 Inspiration for Drawing in Paris: I wanted to have the courage to draw outdoors in Paris and found this wonderful, impressionistic drawing of Notre Dame in one of the books in my library. The artist simplified! And I could too! 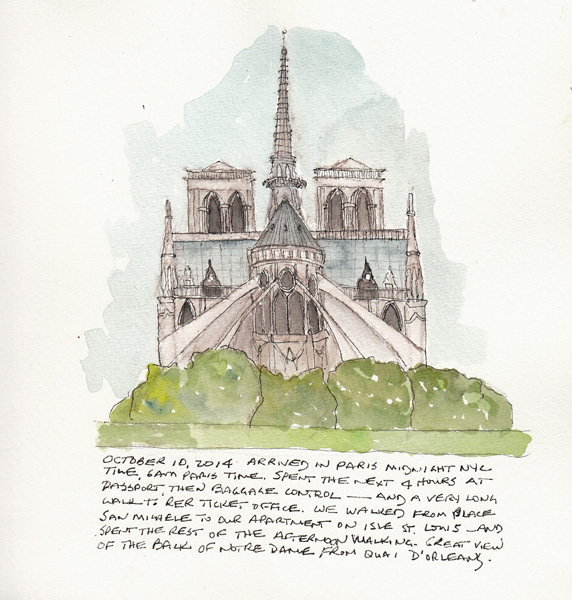 On our first day in Paris, while walking around Ile Saint Louis, I saw the perfect view for me to draw Notre Dame - and just did it! My husband leaned on the wall and worked on a crossword puzzle and I gave myself less than 30 minutes to do the sketch - and studied the colors/plus took a few photos for me to paint it in the apartment. That became my working mode for all of these. 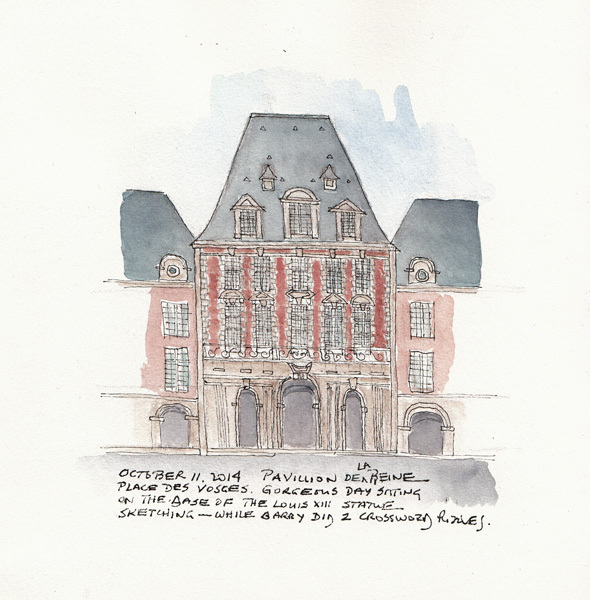 Pavillion de la Reine on Place des Vosges: My husband and I sat on the base of the central statue in Place des Vosges and while he did a crossword puzzle, I sketched, on a beautiful afternoon, surrounded by the sound of children playing. 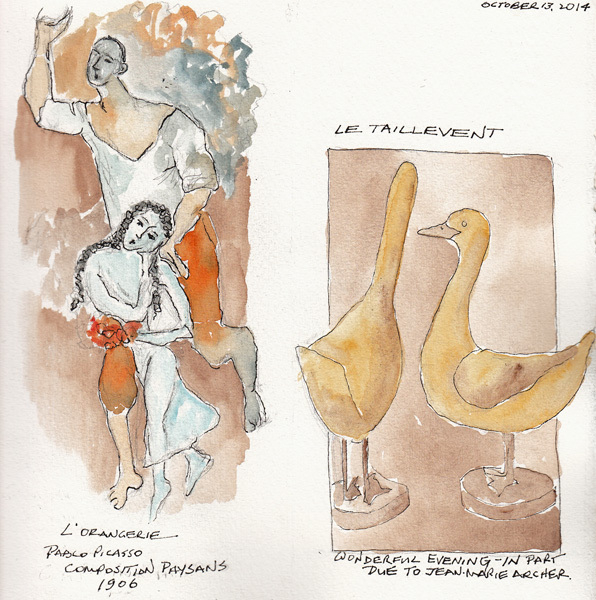 Picasso's Paysans at the L'Orangerie: We saw the renovated museum for the first time and I fell in love with an early Picasso and sketched it. The original was gouache on brown paper. 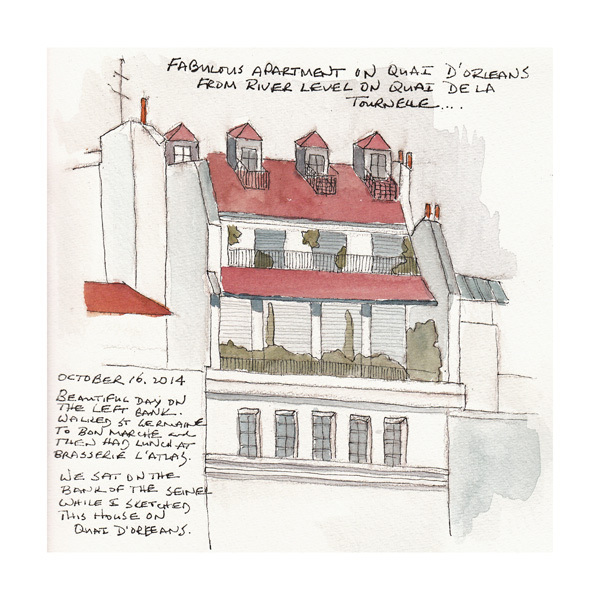 My next blog post will be Sketchbook Skool - Koene and Reim homework with a Paris focus! I have one more hasty sketch that I need to finish before my sketchbook is full and I'm thrilled to have these memories of a terrific vacation. 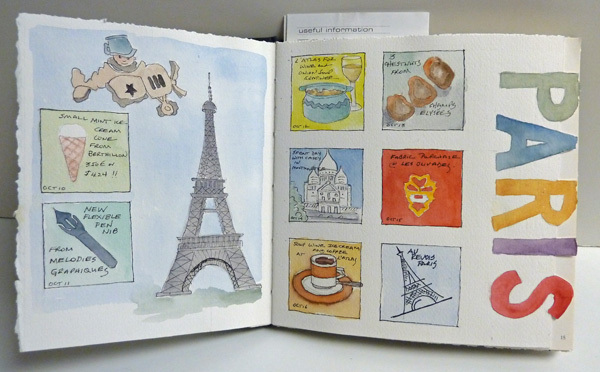 We just returned from a wonderful week in Paris, and I'm thrilled that I have a travel sketchbook from our visit. I recycled an Atget B&W photography book as a sketchbook and before we went I created 2x2" squares in a grid for each day, a map of Ile Saint Louis where we rented an apartment, and a double spread as a calendar. Here are those completed pages. 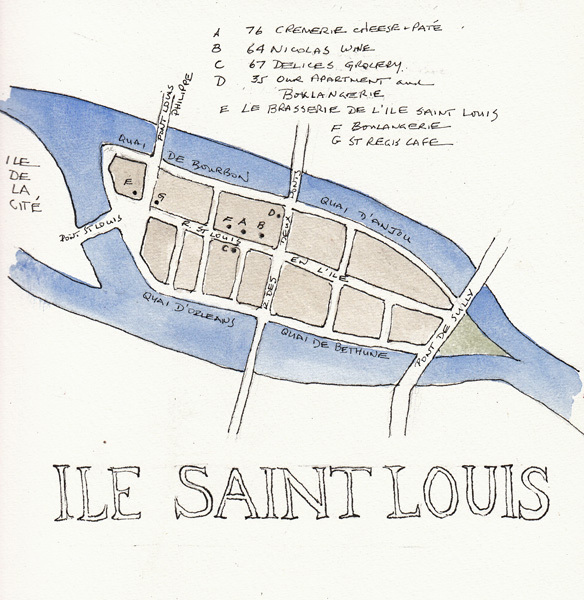 I painted a map of Ile Saint Louis before we left and then added the locations of the places I wanted to remember. 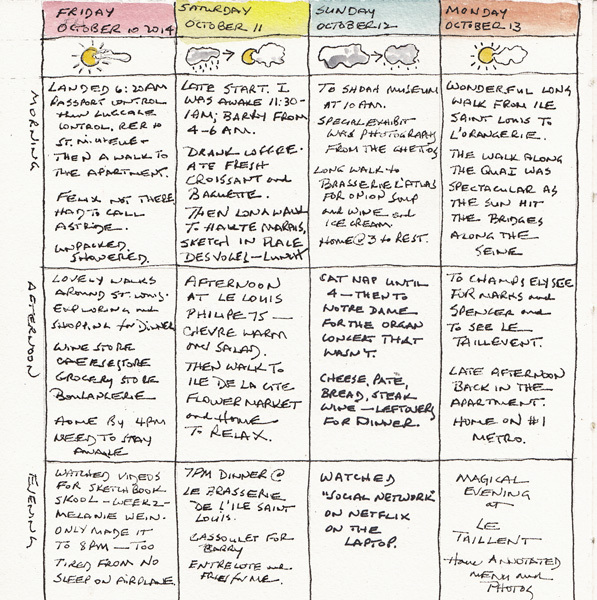 I prepared a double spread to keep a brief calendar for each day, which includes the weather, and events in the morning, afternoon, and evening. Here is a sample of the completed page for our first 4 days. 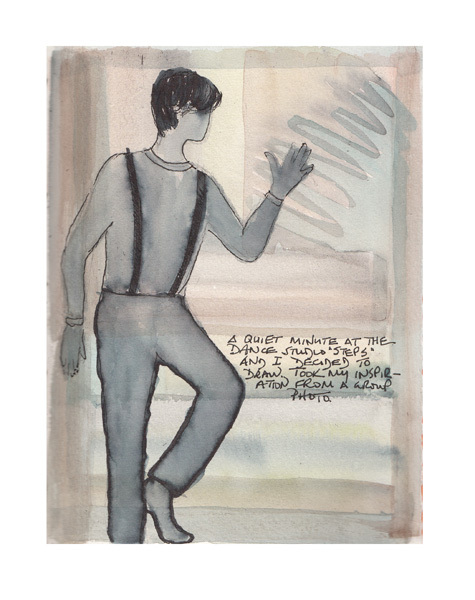 While we were there I painted some of my favorite scenes, an early Picasso gouache on brown paper, some quick portraits of my husband, and 4 homework assignments from the first 2 weeks of sketchbook skool. I'll organize these and post them next week. 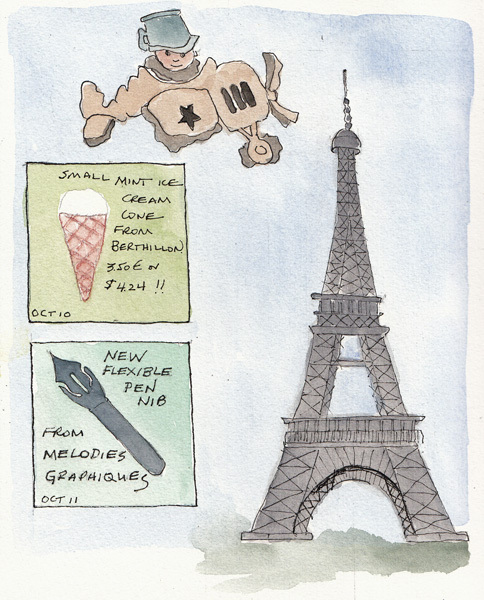 This was our 11th trip to Paris over 44 years and the only one for which I kept a travel sketchbook! I still took hundreds of photos, but the sketchbook pages are so much more meaningful. 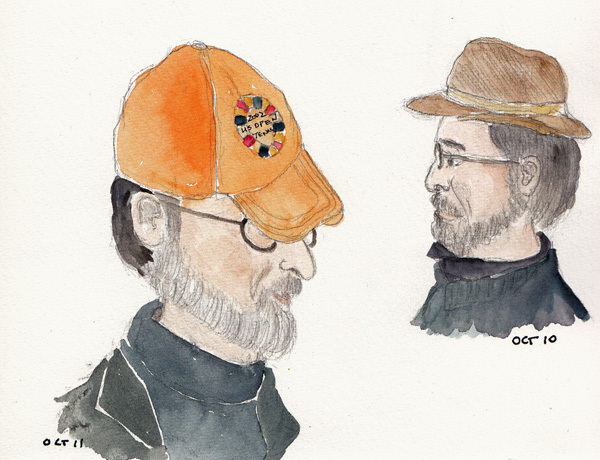 These drawings were done with Tombow Markers and then watercolor. The first is the Wall Street Bull sculpture, which sits on Broadway in the Financial District. The sketch was done early one morning, and I was amazed how tourists paid so little attention to me that they literally stepped 12 inches in front of me to take photos of all of their fellow travelers! In NYC people rarely pause to look at you drawing, but this was a real lack of understanding of personal space! The second drawing was done at Steps - the place where I take ballet class - from a group photo. I outlined his pants and suspenders with black Tombow and then tried to tie it all together. This was clearly play - with mixed results! 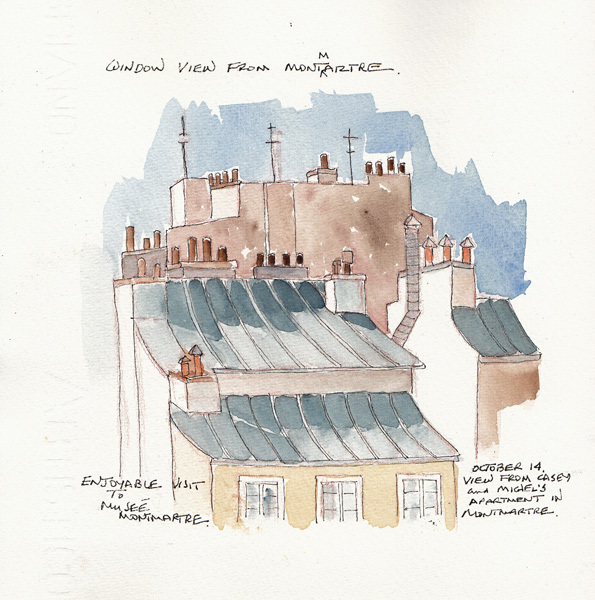 I walk a great deal in Manhattan and I find it difficult to always have my sketchbook with me. My new idea is to always have plain index cards and a ballpoint pen in the front pocket of my bag. 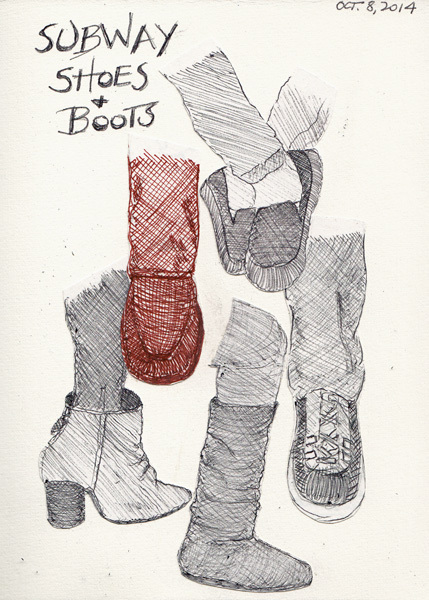 For those of you familiar with Andrea Joseph's drawings, you can tell I was inspired by her Sketchbook Skool class. These are ballpoint pen drawings done on the subway, and then cut out and collaged onto a sketchbook page.